The Bickertonites were an early break-off sect from The Church of Jesus Christ of Latter-day Saints, often mistakenly called the Mormon Church. 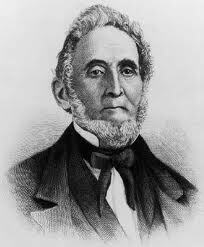 Sidney Rigdon had been a senior apostle in the Church of Jesus Christ when Joseph Smith was prophet. Sidney was a great orator and had already been a religious leader when he converted to the LDS Church. He was a restorationist, meaning he was one of many in the United States who believed that the Protestant Reformation could not succeed in reforming the corruptions of Christian orthodoxy, but that a complete restoration of Christ's true ancient church must be enacted by God. Thus, when the gospel organized under Joseph Smith was presented to him, he accepted it. However, when Joseph Smith was martyred in Illinois, Sidney felt he should become the guardian of the Church. Joseph Smith had conferred upon the Quorum of the Twelve Apostles all the keys necessary to administer the kingdom of God on earth and to choose the next prophet through revelation. But it took a little while for the apostles to understand and enact those processes necessary for transferring authority. Sidney Rigdon and Brigham Young both addressed a company of Latter-day Saints mourning their lost prophet. A miracle occurred, and it seemed to the members of the congregation that Brigham Young was transformed before their eyes, and looked and sounded like their lost prophet. People of all ages were present, and they later recorded their experiences. Benjamin F. Johnson, twenty-six at that time, remembered, “As soon as he [Brigham Young] spoke I jumped upon my feet, for in every possible degree it was Joseph’s voice, and his person, in look, attitude, dress and appearance was Joseph himself, personified; and I knew in a moment the spirit and mantle of Joseph was upon him.” Zina Huntington, who was a young woman twenty-one years old at that time, said “President Young was speaking. It was the voice of Joseph Smith—not that of Brigham Young. His very person was changed. … I closed my eyes. I could have exclaimed, I know that is Joseph Smith’s voice! Yet I knew he had gone. But the same spirit was with the people. Sidney, in his pride, left the Church and formed his own group. The group still exists, and is flung far and wide, but with less than 20,000 followers. It is called The Church of Jesus Christ (Bickertonite). It is not affiliated with any other church. It's center is in Monongahela, Pennsylvania. Sidney Rigdon and his break-off followers settled in Pittsburgh, Pennsylvania, while the main body of the Latter-day Saints were driven from Illinois and made the trek west toward Utah. William Bickerton was one of the first converts to this group in Pittsburgh. He became a leader in the group, and then, after Rigdon's group disbanded, formed a new group. They chose twelve to be apostles and legally organized in 1865. [Sidney Rigdon} worked behind the scenes to try and wrest the leadership away. Rigdon claimed his authority was superior to that of the Twelve and, being unwilling to submit to their counsel, was excommunicated on 8 September 1844. He returned to Pittsburgh and the following spring organized a “Church of Christ” with Apostles, prophets, priests, and kings. This attracted a few people—those who opposed the Twelve and felt that Joseph Smith had been a fallen prophet. Rigdon published the Latter Day Saints’ Messenger and Advocate to promulgate his views. By 1847 this small organization disintegrated. Rigdon, however, hung on to a handful of followers for another thirty years as the self-appointed “President of the Kingdom and the Church.” He finally died in obscurity in the state of New York in 1876 (LDS Institute Manual). The Bickertonite church uses both the Bible and the Book of Mormon but has derived different doctrines from them than those held by The Church of Jesus Christ of Latter-day Saints, including the conclusion that Christ is both the Father and the Son. Elder Spencer W. Kimball, in a general conference address in 1970, explained the process: “The moment life passes from a President of the Church, a body of men become the composite leader—these men already seasoned with experience and training. The appointments have long been made, the authority given, the keys delivered. … the kingdom moves forward under this already authorized council. No ‘running’ for position, no electioneering, no stump speeches. What a divine plan! How wise our Lord, to organize so perfectly beyond the weakness of frail, grasping humans” (In Conference Report, Apr. 1970, p. 118). No break-off group from the main body of the Latter-day Saints has thrived. The largest is the former Re-organized Church of Jesus Christ of Latter-day Saints, now called the Community of Christ, which has about 250,000 members and is under financial duress. Various fundamentalist polygamous groups broke off when polygamy was rescinded, and the largest is about 10,000 members. This page was last edited on 26 March 2013, at 02:10.